Currently no more spire, roof, interior, and it's burning in one of the bell towers. If one of the bells drops, it will break through to the floor, those things are massive. I think at this point it'll be a total loss. That was unimaginable just a few hours ago. Problem being they will end up f**king us harder to make up the loss. I'm all about a vigorous f*cking. Only if you're his cousin. Maybe this will put things in perspective. 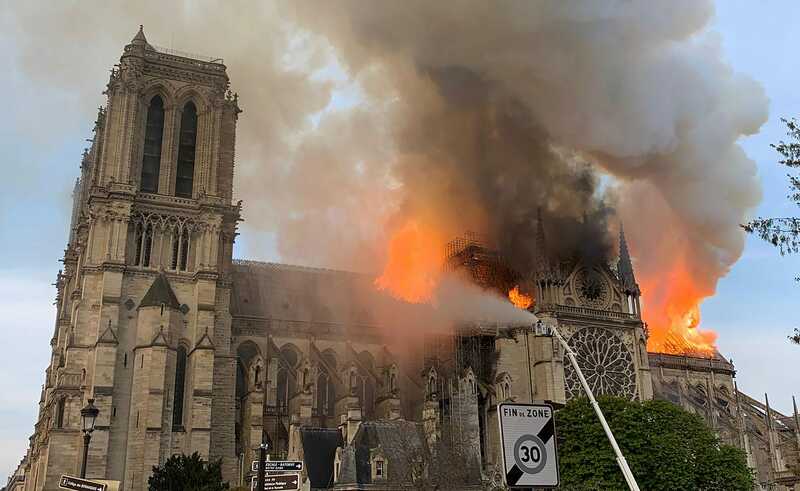 Happening right now..
Well scratch off a visit to Notre-Dame from my bucket list, should they find a way to rebuild it, it will be decades before its back to its days of grandeur, long after I have departed this earth. The artwork was removed in time, some was gone already for renovation purposes and there have been ultra high-res 3D scans done so they know exactly what it looks like to the millimeter. That info will prove to be invaluable as restoration progresses. then in turn, they will F**k the rest of us by raising rates to make up for the losses. Where was God when one of his summer houses was burning? Sounds suspicious. Where was God when one of his summer houses was burning? He was spending time away from His Lady. Spark plug wires too long??? WTF?